Austria holidays, Salzburg, Kaprun, Zell am See and so much more: What's new in Zell am See and Kaprun?. The Austrians are a hard working nation, and looking to improve and enhance facilities, on an annual basis, from the upgrading of ski lift, the provision of new cycle lanes, extension and modernization of hotels, with new infrastructure being constructed each year. The new 85 million Euro spa complex opened November 2010, and will enhance any stay in the area, the attached blog link gives more information http://austria-spa-world.blogspot.com/. Great for a session of relaxation after a hard days skiing, or perhaps in the summer after a strenuous day of hiking / cycling, or just go and relax and unwind, after 36 holes on the adjacent golf course! 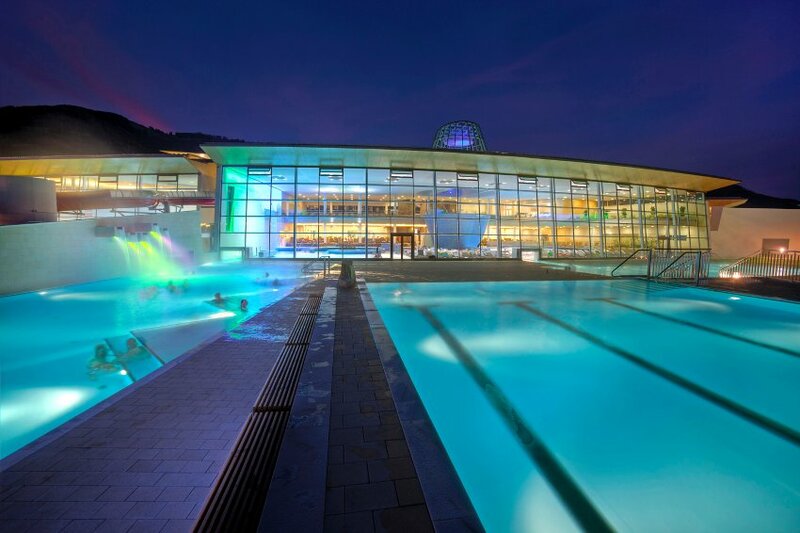 Tauern Spa Kaprun opens late at night. Stop by at Tauern Spa Kaprun, hotel rooftop infinity pool. 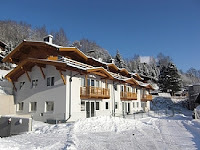 The Tauern Spa website English website can be found at this spa link. The German version of the same website can also be found via this link, If you visit have a great time and let us know how you get on! On the top of the Kitzsteinhorn mountain at 3000+ metres and famous for its glacier, a new cinema complex!, viewing galleries and refurbished restaurant has opened in December 2010 the attached article from the Zell am See - Kaprun tourist board provides further information.Go on a sunny day to take in all the views. The Kitzsteinhorn company run their own website to find out the latest, prices, weather reports or events click on the link. The start point for the ride is in the car park adjacent to the Maiskogel ski lift close to the centre of Kaprun. The ride starts from the valley bottom with a "tow" up the the hillside, before the ride starts for proper with an exhilarating ride back down to the start point with plenty of twists and turns on the way. Along with an extension to the 36 hole Zell am See - Kaprun by a further 9 holes! So if you are considering visiting Austria again please consider staying with us?